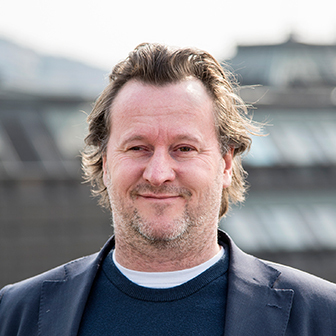 Erlend has been working with digital communications and business development since 1995, and has an MA in Communications from New York University from 2001. After graduating from NYU, he worked at Telenor, heading up the development of digital content strategies for the rollout of broadband in Norway. He worked as Category Manager for Music and Video at Aspiro (now Tidal), and spent some time as a consultant to the mobile content industry, before moving into design and advertising, as Client Service Director and Head of Business Development at Miksmaster, Empefire, and, most recently, Schjærven. He has worked with a varied set of clients in Norway and the Nordics, including, the Norwegian Ministry of Foreign Affairs, Tele2, VG, XXL, Viasat, Novartis, and McDonald’s. Now he aims to help grow T&P in Norway, with the excellent local team. When not thinking about advertising, he can often be found cooking, reading, or skiing, and trying to revive the unknown but legendary stoner punk band Exploding Fists of Fury.